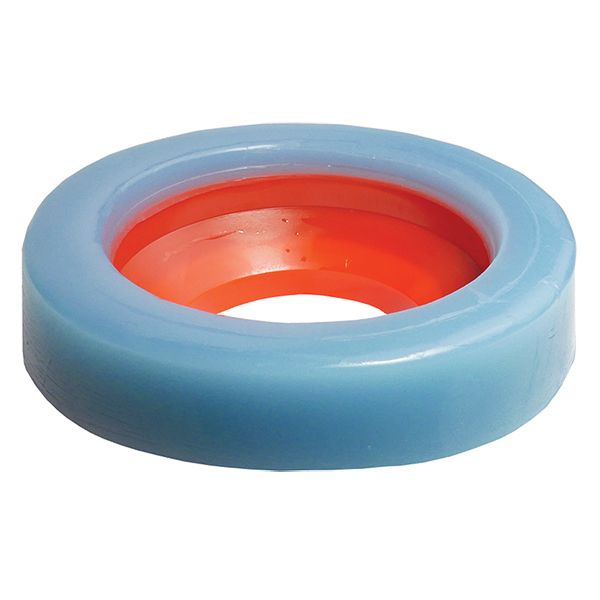 This elastomer toilet gasket with flange is made by Tight Seal Gasket. The sticky elastomer ensures a tight seal. Unlike other gaskets, this gasket will not break or become brittle. It also will not melt. It can be repositioned at any time and allows movement without leaking. The gasket is very resilient and flexible. It measures 3/4" thick and is designed for use on closet units. Tight Seal Gasket model number TF-375.